Despite Georgia having 26,060 rivers and 850 lakes, fish dishes make up a small part of traditional Georgian cuisine, particularly when compared with the abundance of meat recipes. 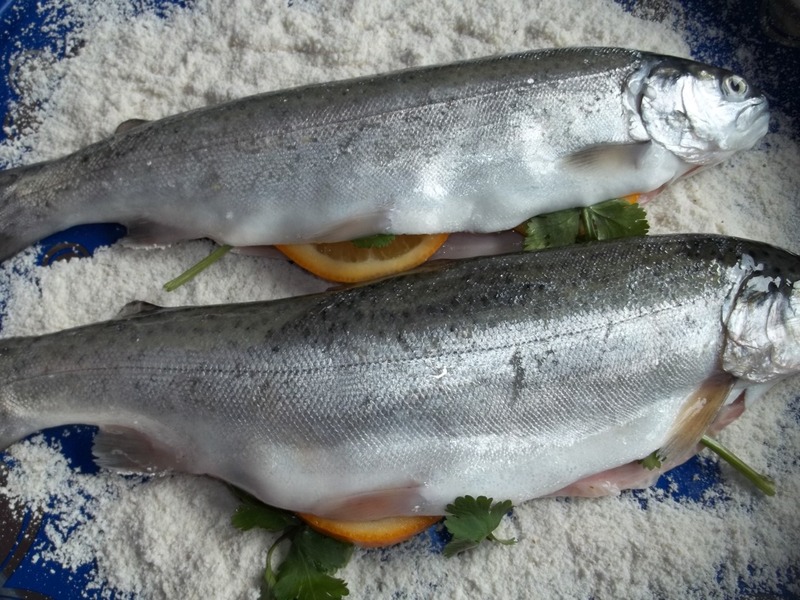 Trout and carp are the most popular fish and are usually fried or barbecued. 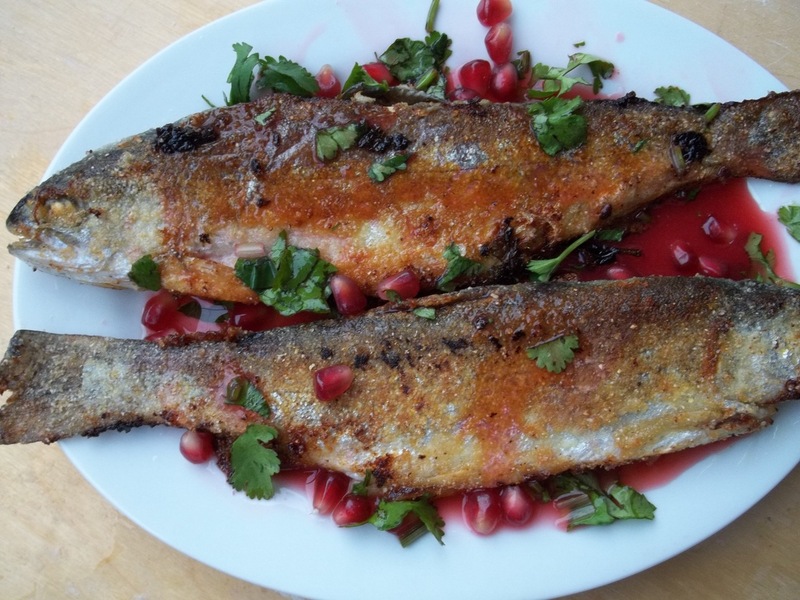 In this old recipe we show how to make fried trout with a delicious pomegranate sauce. 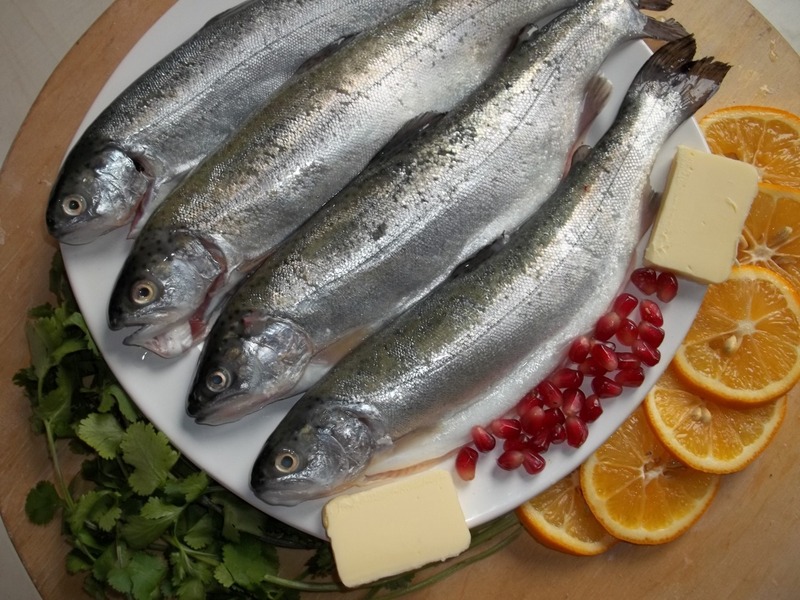 Ingredients (2 servings): 4 trout, 40 grams of butter, 1 lemon, 1 pomegranate, 20 grams of fresh green coriander, 200 grams of cornflour, 1 tbs of lemon juice, and salt (amount dependent upon personal preference). Preparation: Gut and clean the fish. Slice the lemon and butter and cut the coriander. 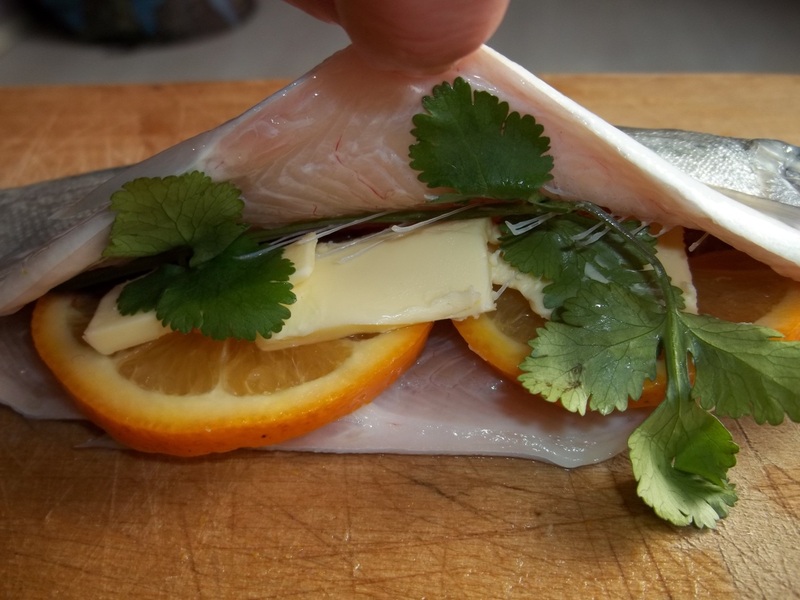 Fill each fish with slices of lemon and butter and the coriander. 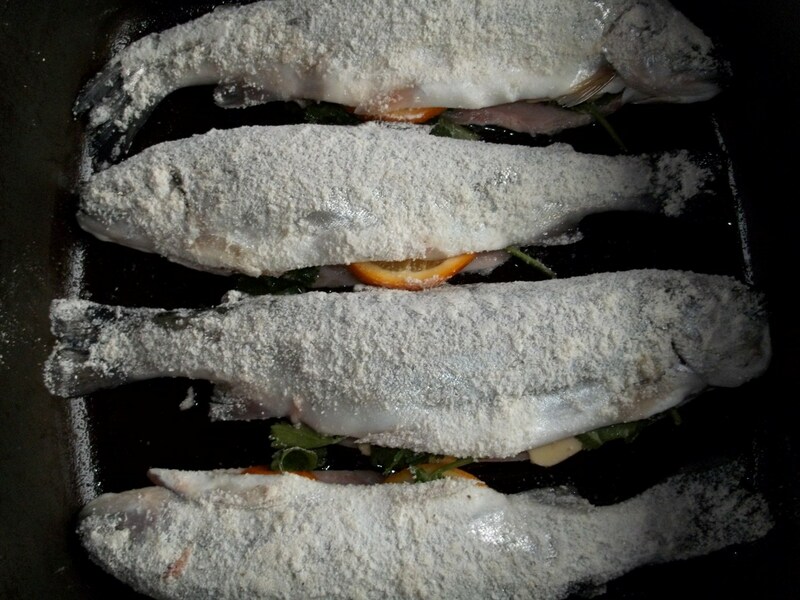 Add cornflour and salt to a preparation surface and coat each side of the fish. Add the fish to a pan containing 6 tbs of hot oil and fry on a low to medium temperature for 30 minutes, carefully turning the fish halfway through. The skin of the fish should be crisp. 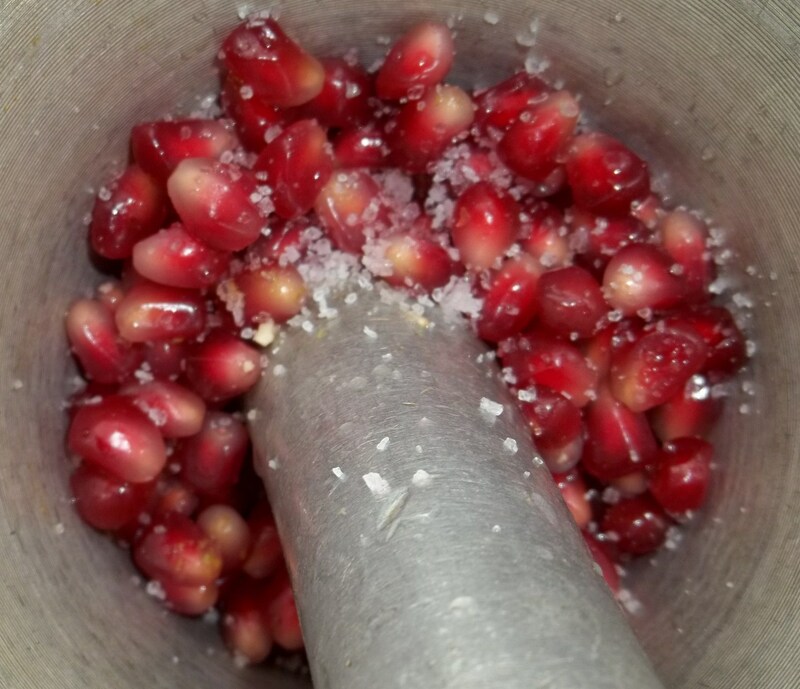 Remove the seeds from the pomegranate and crush them with 1 tbs of lemon juice and a little salt to extract the juice. Add the juice to a bowl and add chopped coriander. Stir and leave for 30 minutes. 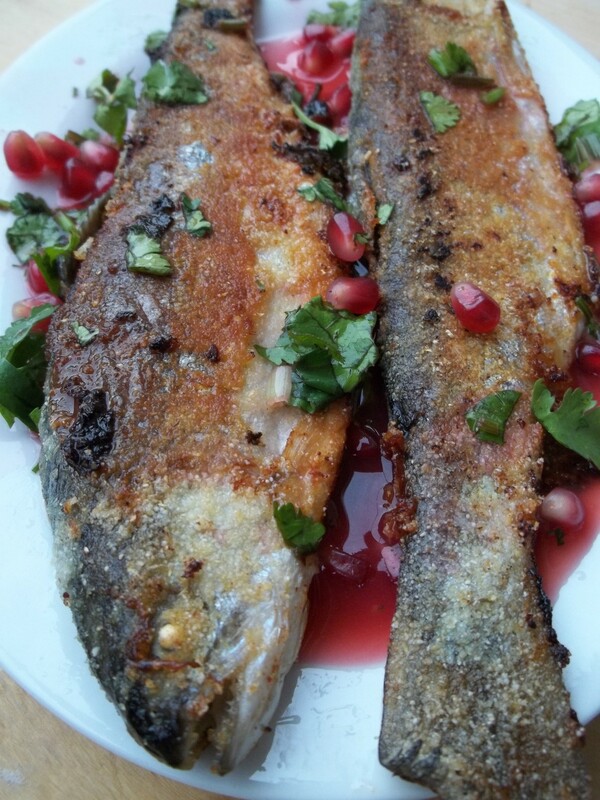 Serving: Pour the pomegranate and coriander sauce onto the fish and serve hot.